You love to live in the calming presence of nature, and would like your space to reflect that facet of your personality. Well, both these essential goals of your home decor/staging can be achieved by a very simple and easy addition to your home entrance wall. A Wall-Planter! IT LENDS LIFE TO YOUR DOORWAY, LITERALLY! Imagine two equally beautiful doors. One without anything on or around it, and the other accompanied by a thriving piece of life – with new leaves, branches, buds and flowers sprouting every day (and not to mention few butterflies visiting every now and then). Which one will attract you more? The answer is obvious. We are living beings and we get attracted to life. Also, it is a very inexpensive way to spruce up your ordinary/plain looking main entrance door and give it some color – whether by the way of using the colorful planter or by growing colorful flowers in that! IT BRINGS THOSE BEAUTIFUL PLANTS AT EYE-LEVEL! Unlike planters placed on the floor, a wall-planter brings the plant and its charm right before our eyes, and so it catches people’s attention much faster. When your welcome plant is at a much more “interactive” height like this, your household feels much more warm and welcoming. 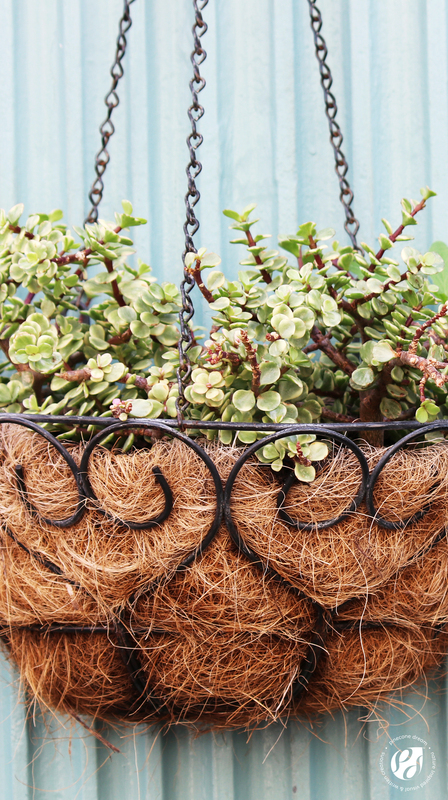 A well thought wall-planter will work as a statement piece of your outdoor decor and increase the street appeal of your house, lending it a personality that will stand out from the rest. So you see, you get a conversation-starter right there at your door, even before someone steps inside your space. IT SAVES SPACE, AND A LOT OF HARD WORK TOO! When you place your planters on the wall, the floor space is freed up instantly. You can put that space to some other clever use – like for a console table or a shoe rack and so on. If your entrance or porch is small, some clutter free space gives much needed relief to the eyes providing the area a cleaner and well organized design. Also, plants not on floor means you don’t need to bend down to water them. Also, no more the hard work to remove soil stains on the floor! 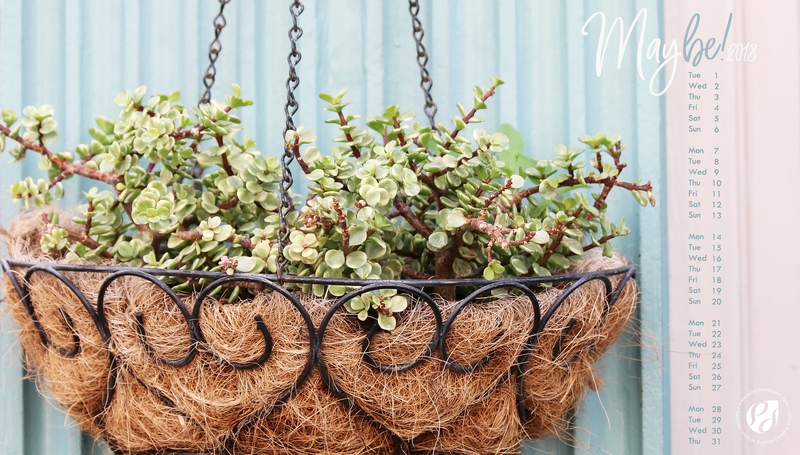 While you get creative and head out to buy a wall-planter for your sweet home, here is the Wall-planter that inspired this article – which, I had spotted in a charming southern city street! Keep it at the “entrance” of your devices, think through your month ahead with the matching printable planner, stay in tune with life!